Summer time means a few things… no school, warm weather and fun days at summer camp. With all the excitement and activity that goes along with June, July and August, our friends at Vitalyte want you to remember staying hydrated is important. Even better, they’re offering a special 15% off discount for TGA customers to try out their products. Free from anything artificial and made with non-GMO ingredients Vitalyte is a great electrolyte replacement drink for active kids spending time in the summer sun. 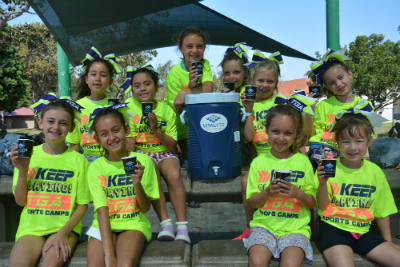 Compared to commercial sports drinks, Vitalyte is much lower is sugar and sodium thus making it a beverage choice parents can be confident about. Plus the great taste is something everyone in the family can enjoy. As one TGA coach said, “My favorite is the lemon because it tastes great. 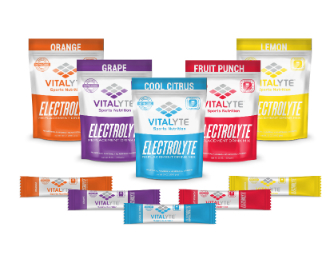 It reminds me of other electrolyte drinks but better because there’s no chemical taste.” Founded over forty years ago by a former world-class marathon runner, Vitalyte has stood the test of time staying true to providing a quality product at a great value.